Weber Shandwick is proud to be named one of the 100 Best Companies to Work in Washington for 2012. 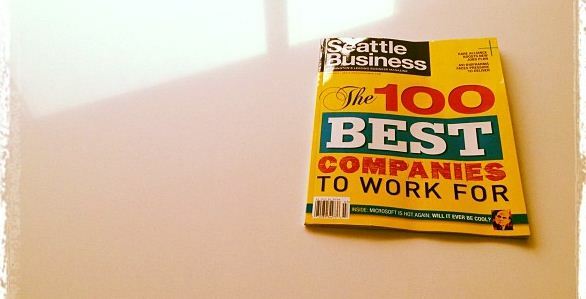 Taking second place in the Companies Headquartered Outside of Washington category by Seattle Business Magazine, our office was honored for having “morale that is through the roof,” as one employee noted in their anonymous survey. The annual awards banquet, which took place at the Westin in downtown Seattle on June 14th, recognizes workplaces that provide welcoming and nurturing environments and make work easier and more enjoyable. It was great to meet some of the most talented companies in the Seattle area across a variety of industries. On hand to present the awards was formal NFL quarterback Brock Huard and Seattle Seahawks coach Pete Carroll, who addressed the audience with a keynote on the value of leadership and team building in both the stadium and the workplace. 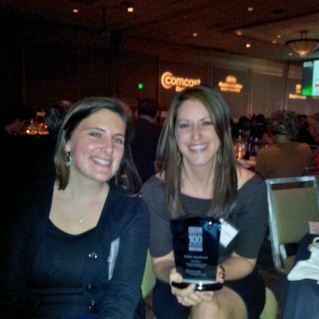 Weber Shandwick Seattle congratulates all companies honored for making Seattle a great community to work in! 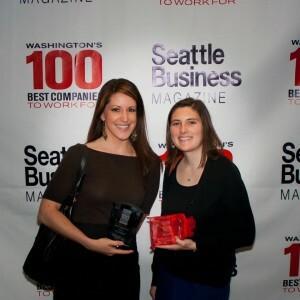 (l to r) Weber Shandwick Seattle's Cullen Heaney and Kelly Hamor at the Seattle Business Magazine's 100 Best Companies to Work For banquet. Tagged community, seattle awards, seattle business magazine.